We provide our families with compassionate skin care and medical education, giving them the comfort and confidence to live healthy and beautiful lives. We put our patients first, work to constantly improve our patients’ experience, and demand excellence from our entire team. Olansky Dermatology Associates is your home for high quality medical, surgical and cosmetic dermatology in Atlanta. Our dermatologists are committed to providing exceptional care to patients of all ages. When it comes to your skin health, there is no substitute for experience. The dermatologists at our dermatology practice, founded 1981, carry years of expertise to bring you the premium dermatology care you deserve. Olansky Dermatology Associates is a full service dermatology practice. 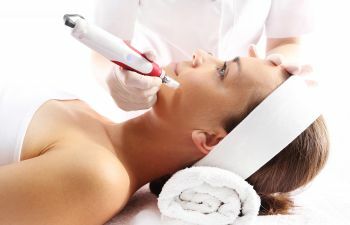 Our devoted team includes experienced physicians, physician’s assistants, a laser specialist and a clinical aesthetician to provide the comprehensive skin care you need in Atlanta GA. You can be confident that our dermatology professionals are equipped with the knowledge and resources needed to ensure you receive the best diagnosis and treatment plan available. We take patient care and satisfaction seriously at Olansky Dermatology Associates. Through continuing education programs, our medical staff continues to seek the most advanced treatment plans for dermatologic diseases, skin cancer, as well as aesthetic services. If you are looking for a skilled Atlanta Dermatologist in the Buckhead area, Olansky Dermatology Associates is here to help! Here are links to some of our most popular services: General Dermatology, Cosmetic Dermatology, Skin Cancer Treatment, and Skin Care in a peaceful and caring environment. We pride ourselves on our ability to serve men, women, teens, and children for all their skin care needs, both medically and cosmetically. Whether it is eczema on your infant, teen acne, facial rejuvenation for men and women or a thorough skin cancer screening, our dermatologists will treat each patient with the highest quality care. Facing the world is not always easy for patients suffering from serious skin disorders. Dedicated to meeting the needs of these patients, Olansky Dermatology Associates has a variety of complete and customized treatments to treat skin conditions and diseases. According to the National Institutes of Health, between 5.8 and 7.5 million Americans suffer from psoriasis, an estimated 80 percent of all people between the ages of 11 and 30 have acne outbreaks, and an estimated 7.8 million of Americans suffer from a chronic condition called hyperhidrosis, which is the term for excessive sweating. People who suffer from psoriasis often feel the embarrassment of walking around with a noticeable skin condition. We are proud to offer our patients a range of medical treatment solutions in order to help us find the most successful method of treatment for you. Acne is the most common skin condition that teens and adults deal with. While many find solutions using topical creams and gentle cleansers, there are a huge number of people who must undergo a more aggressive medical treatment in order to treat acne. Your face is the most personal thing about you –it’s the image that comes to mind when anyone thinks of you. Acne can put unwanted pictures with your image. At Olansky Dermatology Associates we will treat your acne as personally as you do because we understand how acne affects your self-confidence, your professional and personal life. We offer comprehensive treatment that brings about the clear skin that you deserve. Hyperhidrosis, or excessive sweating, can have a negative impact on your personal and professional life. The increased perspiration that generally occurs in the armpit area, hands, and feet can cause extreme embarrassment – both for the one sweating, as well as the one in close proximity. While sweating is a normal bodily function necessary to cool the body, overactive sweat glands produce side effects that you do not want. At Olansky Dermatology Associates we work to find the cause of your excessive sweating as well as determine the best treatment options for you. Surgical and cosmetic dermatology deal with both the diagnosis and treatment of medically necessary and cosmetic conditions of the skin. The purpose of any dermatologic surgery is to repair and/or improve the function and cosmetic appearance of the skin. Removal of skin cancers, moles, skin tags or growths, acne scars, and more are all included in surgical and cosmetic dermatology. Dr. David Olansky at Olansky Dermatology Associates is highly qualified to use the method of Mohs surgery. This micrographic surgery is used to treat basal cell and squamous cell skin cancers. He has been performing successful Mohs surgery on our patients for over thirty years. This method of surgery has the highest success rate of all treatments for skin cancer. If you have been diagnosed with skin cancer, now is the time to call Olansky Dermatology Associates to schedule an appointment with Dr. Olansky. Whether you have a cosmetic concern on the face, neck, décolleté, or other area of concern on the body, or whether you are seeking the most effective surgical procedure for removing skin cancer, Olansky Dermatology Associates is the name to trust. We treat every patient on an individual basis. No two people are the same; therefore we treat their skin conditions as personal as they are. Our commitment to providing the highest standard of care in the most professional setting allows us to serve you with the care that you deserve. Contact us today for your comprehensive dermatology treatment.